Korean Lifestyle newsletter is a comprehensive summary of the day's most important blog posts and news articles from the best Korean Lifestyle websites on the web, and delivered to your email inbox each morning. To subscribe, simply provide us with your email address. South Korea About Blog 10 Magazine delivers English content from all of Korea's hottest dining, nightlife, fashion, shopping and culture info plus the best events agenda. Facebook fans 16,525. Twitter followers 4,768. New York // Seoul About Blog Get the latest Korean beauty secrets, including skin care product reviews and makeup tips on The Klog. Your inside source for all things Korean beauty – skin care, makeup, culture and more. Facebook fans 17,637. Twitter followers 2,513. About Blog A blog dedicated to everything on Korean culture: Food, Beauty, K-pop, Recipes, History, Culture, Language and more! Facebook fans 3,150. Twitter followers 3,220. Seoul, Korea About Blog A Korea culture and travel site. With tips on Korean culture, what to do in Seoul, living in Korea, working in Korea, and travel to Seoul. Facebook fans 31,369. Twitter followers 6,283. Seoul, Republic of Korea About Blog An American adventurer based in Seoul, Korea since 2006 shares stories on culture and life in Korea and travel to countries around the world. Facebook fans 3,468. Twitter followers 2,804. Korea About Blog This Blog is about the adventures of being married to a Korean man! Facebook fans 25,941. Twitter followers 6,365. Scottish Girl in South Korea About Blog A Scottish girl living, eating, blogging, exploring and teaching in South Korea! Come follow for tips and stories about travel and expat life. Facebook fans 1,273. Twitter followers 1,517. About Blog I am a Canadian based Korea beauty blogger of Chinese descent with an international based audience. In this blog, I will show you wonders of K Beauty world, how I changed my life and how it can change yours, skin- condition and wallet wise too! Facebook fans 377. Twitter followers 99. About Blog Kherblog is a place where you can learn about natural ingredients and skincare routine or find reviews on cosmetic products. Facebook fans 115. Twitter followers 8. Seoul, Republic of Korea About Blog Welcome to SofieToKorea! Here I blog about my Korean language journey, my favorite Korean dramas, my favorite Korean beauty products, and my favorite Korean stars. Facebook fans 237. Twitter followers 503. Seoul, Republic of Korea About Blog Seoulinspired is an English blog based in Seoul by Ethan Brooke who is a photographer living in Seoul but a New Zealander at heart. Follow this blog for photography & adventures & travels around both Korea and the world! Facebook fans 2,104. Twitter followers 431. Seoul, Republic of Korea About Blog Hannah, International is a personal travel and lifestyle blog, created to document travels, language learning and cultural experiences. I am currently living and working in Seoul, South Korea, so expect lots of tidbits about life in the Korean capital, places to visit, things to do and foods to eat! Facebook fans 373. Twitter followers 844. About Blog Welcome to Sorabelle, a beauty, fashion and lifestyle blog created by myself, Vicky Lee. Born and raised in Seoul, Korea and now loving life in London, let me be your guide to all that is new in the world of style and beauty trends, Korean beauty and travel. Facebook fans 337. Twitter followers 551. Facebook fans 4,945. Twitter followers 6,047. About Blog Marie is a Belgian content creator and designer based in Seoul. She reviews travel destinations across the Korean Peninsula. Join Marie on her quest to find the ultimate travel spots in Korea. South Korea About Blog Healthy Seoul, an online space to share knowledge of holistic living. It focuses on how to live a plant-based lifestyle, both in the home and around the city of Seoul and inspiring others to use food as a way to heal and nourish the body. About Blog It is a South Korea travelogue that provides local insights on food, coffee, lodging and off the beaten path places and you should check out here in South Korea! Facebook fans 448. Twitter followers 5. South Korea About Blog Welcome to theSeoulChic fashion, personal style and lifestyle blog. I hope you find inspiration through my multicultural and Afro-fashion trends in Korea. 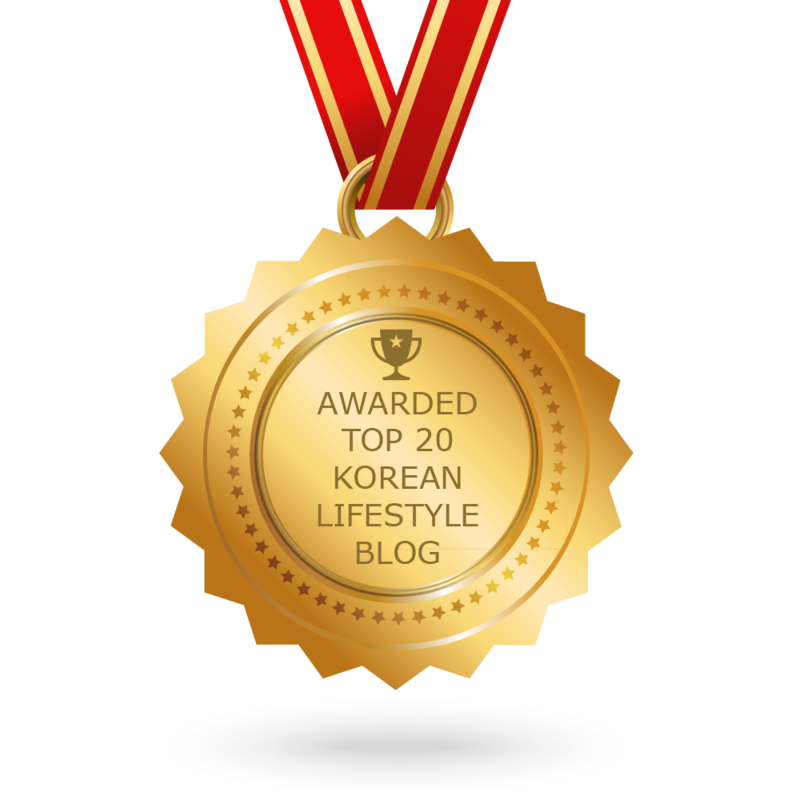 CONGRATULATIONS to every blogger that has made this Top Korean Lifestyle Blogs list! This is the most comprehensive list of best Korean Lifestyle blogs on the internet and I’m honoured to have you as part of this! I personally give you a high-five and want to thank you for your contribution to this world.